As 2016 winds down (we know – where did 2016 go? 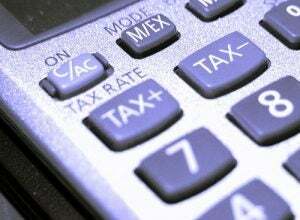 ), income taxes and the Canada Revenue Agency (CRA) will start to become a forethought for people. On October 3, 2016, the CRA announced changes to the requirements for reporting the sale of a principal residence. Prior to this change, the form wasn’t a requirement if you sold your primary residence in that tax year; however, starting in 2017, if you sold the home you lived in in 2016, you will be required to complete the form and to declare the date of sale, proceeds from the sale, and a description of the property to the CRA. Canada Revenue Agency announced changes to how you declare the sale of your primary residence in 2017. The average homeowner will likely remain unaffected; he or she will just have to include a few additional points in their income tax return. The CRA is targeting people who are using the primary residence exemption to avoid paying capital gains when they flip properties. So long as you declared the home you were living in as your primary residence, regardless of whether you planned to sell it and bought the next while still living there, you could invoke the exemption. CRA wants to track the use of the exemption and make sure that people are only using it on one property at a time. It doesn’t matter if you move around or purchase another home and move. What it does mean is that you can’t declare both properties your primary residence. You will be forced to pick one on your income tax return and apply the exemption to only that one property. As always, we recommend that you speak with certified professionals (in this case your accountant) to discuss how these changes will impact you. For the most part, we don’t see this changing things for many people; however, it may slow up a person’s investment plans as they will have to hold on to properties longer in order to declare them “primary residences” to ensure they don’t get caught declaring more than one property at a time. Have questions? Send us an email to info@thecondogroup.com or contact our recommended accountants, Clark Vowles LLP in Sidney.